Not all CPQ systems are created equal. How easy are you to do business with? Is the experience fast and easy for your customers, while remaining profitable for you? In the fast-paced economic world of Uber and Amazon, all B2B companies, regardless of complexity, are being challenged to adapt to new buying demands and processes, and are investing accordingly. CPQ (Configure Price Quote) systems represent the foundation of these investments and are proving their value within a digital commerce strategy by a 3% or more uplift in revenue. That said, not all CPQ systems are created equal. In this webcast, join Sean Myers and Josh Rochelle for an in-depth review of the CPQ space, followed by a live Q&A session. 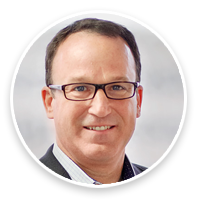 Sean Myers brings 17 years of CPQ (Configure Price Quote) leadership to Vendavo. 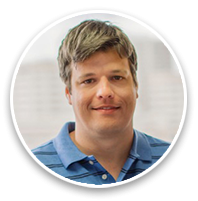 As the founder and CEO of Endeavor Commerce, Sean led the growth and transformation of an on premise Sales Configuration Software company to a market leading SaaS CPQ business in 2013. 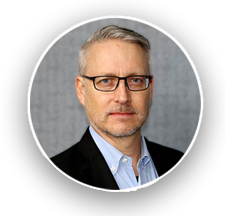 Following Vendavo’s acquisition of Endeavor in 2017, Sean joined the leadership team to serve as Senior Vice President of CPQ with a focus on helping growth companies expand revenues, profits and customers satisfaction with intelligent and integrated quote to order process and systems. In addition to his professional endeavors, Sean is a passionate community leader with an advocacy for serving the working poor. In 2016, Sean was elected President of the Dallas Council of the Society of Saint Vincent de Paul overseeing the volunteer work of 37 conferences in the Dallas Catholic Diocese. Mitch is a Profit Evangelist at Vendavo with 25+ years of experience in the technical, operational, marketing, and commercial arenas of the chemical industry. Prior to Vendavo, Mitch was with BASF and Orica in product marketing and business management, driving operational optimization, pricing excellence, and margin improvement, as well as personal engagement in high value sales negotiations. Mitch also has deep experience with raw materials supplier portfolio management having negotiated large scale and long-term agreements with leading suppliers. COPYRIGHT © 2019 - 1401 17th Street, Suite 800 Denver, CO 80202 - ALL RIGHTS RESERVED.